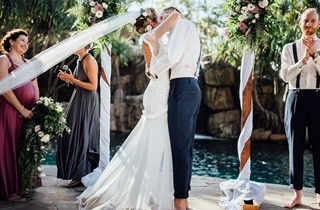 The perfect backdrop to an elegant day surrounded by family and friends. 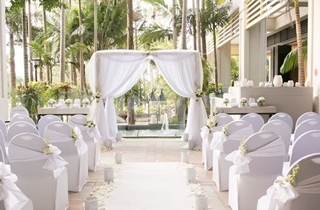 Whether you dream of hosting a grand formal evening or a small intimate gathering, choosing the Surfers Paradise Marriott Resort & Spa means you can indulge in 5-star hospitality in a warm and relaxed atmosphere. 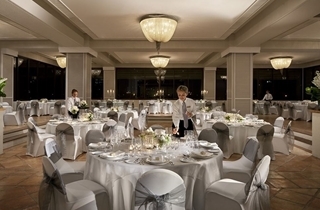 Our beautifully appointed function rooms offer a unique ambience and the perfect location for a wedding ceremony, wedding reception or wedding renewal. 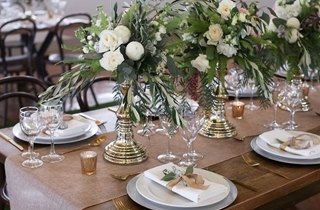 Our experienced and dedicated Event Management Team will provide a level of service that allows you to be the ultimate host and cover all the details. 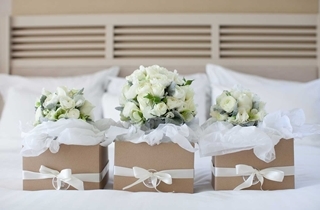 Our specially created all-inclusive packages will ensure your wedding day runs smoothly and effortlessly. Should you wish to arrange a tour of our facilities, or have any queries, please feel free to contact our Event Management Team. 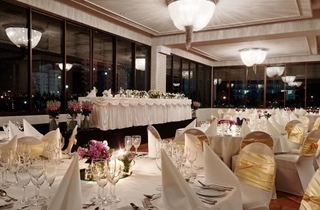 We hope our information inspires you to celebrate with us on your wedding day! 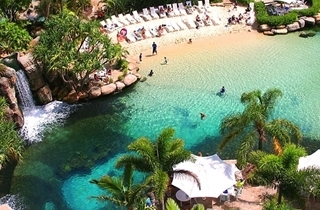 Celebrate with a tropical cocktail party by our stunning lagoon. 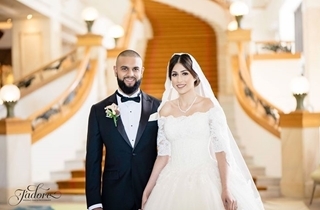 The Grand Ballroom is our largest venue, offering 700 square metres of versatile space for truly remarkable Gold Coast gatherings. 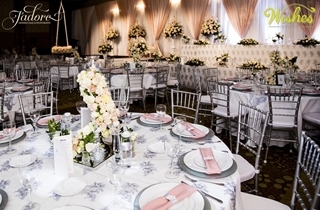 It can easily accommodate up to 500 seated guests for a banquet, or 800 in theatre-style configuration. 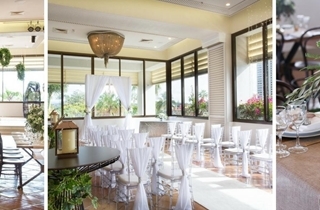 The Grand Ballroom features gorgeous chandeliers and state-of-the-art audiovisual facilities, and can be split into two rooms to facilitate smaller functions. 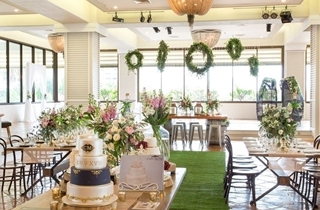 Infused with natural light and boasting sparkling chandeliers and tiled flooring, the Garden Terrace is a splendid venue for a sophisticated wedding luncheon. * Lagoon Package is seasonal and not available through school holiday, Christmas and New Year periods.